Sometimes your home needs to be refreshed by some good cleaning. This is one of the best ways to make your home feel cozy and inviting. 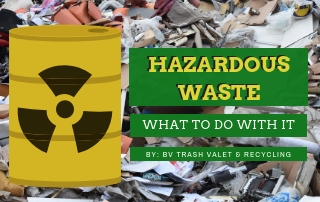 Be sure to handle the obvious things first, like any trash or recycling you may have inside your home. 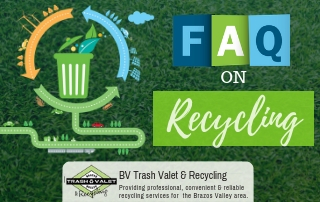 Take advantage of residential trash & recycling services for residents near College Station, TX in Brazos Valley. You can use a vacuum to remove dust from the walls and ceilings, or use a pad that picks up debris. This is better than a feather duster, which just spreads the dust around your home. Use a solvent-free degreaser to remove stubborn surface grime in your kitchen. You can test the degreaser by using it on a small area, preferably an inconspicuous one, first. That way no one will know if it leaves any marks. Go ahead and dust off any ceiling fans and light covers too. It is best to work from top to bottom so you won’t dirty anything again after you just cleaned it. Don’t forget to clean inside your refrigerator too. Some home owners purchase food-safe cleaners for this task, but many say the best cleaner is a combination of abrasive salt and bubbly soda water. 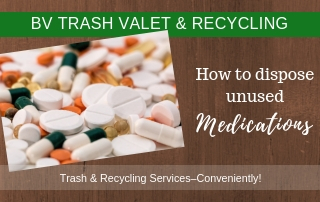 Clear everything off your shelves and then brush the shelves with a vacuum or cleaning pad. Wipe the spines of leather-bound books with a soft cloth and be sure to dust the top and front of your book. Do the same for your computer desk and even for your computer. Many people don’t realize just how much dust can accumulate on and even inside your computer. Clearing away this dust with a vacuum or a can of blown air can make your computer run more efficiently so it uses less energy and even lasts longer. Clean your LCD monitors with a cleaning fluid made for this task and a very soft cloth. Remember that LCD screens are sensitive, so be sure you use the proper tools. Kits that come with wipes and sprays are available that will make your monitor look like new. 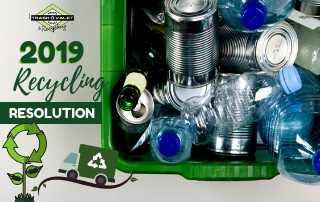 If you have old computer equipment, be sure to recycle any components that might be reusable. 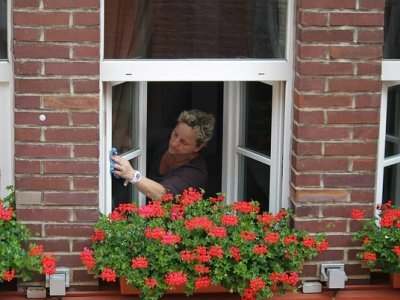 Wash your windows with vinegar in a spray bottle or use window cleaning fluid. Clean the screens with warm water and a mild dishwashing liquid. You can clean the screens with a brush, then let them air dry. And while you are at it, go ahead and clean your draperies and curtains. Many are machine washable. Run them through an air-fluff cycle in the dryer with a damp towel (this will attract the dust) for about 15 minutes. Re-hang them as soon as possible so they won’t wrinkle. Also be sure to wipe your blinds. Push your furniture away from the walls of your home and clean underneath. Vacuum pillows as well as underneath the cushions of upholstered furniture. 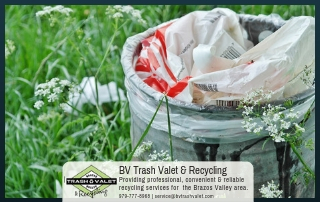 Look for any stains and clean them according to the care label on the furniture.